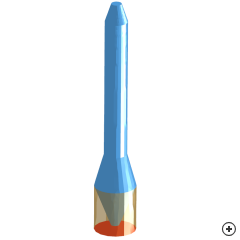 Image of the Ccrcular tapered polyrod antenna. 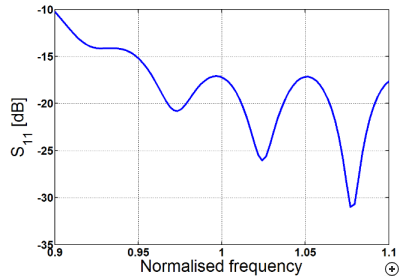 Dielectric-rod antennas, also known as Polyrod antennas, are regarded as a type of surface-wave antenna. While a wide range of configurations are possible for dielectric-rod antennas, in most cases they have a tapered rod of circular or rectangular cross section. 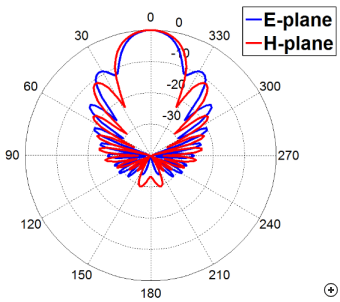 In these antennas, the feeding waveguide couples part of the input power into a surface wave which travels along the dielectric rod with minimal reflection. The surface wave then continuously radiates as it travels along, gradually transforming from a strongly bounded wave to a free-space wave. Typical pattern performance of the circular tapered polyrod. Typical S11 performance of the circular tapered polyrod.